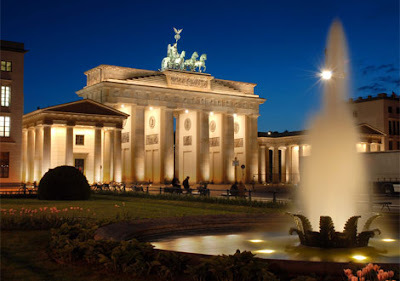 Today is a federal holiday in Germany, called Tag der Deutschen Einheit, or German Unity Day. The October 3rd holiday commemorates the anniversary of German reunification in 1990. Do you remember when there was a West Germany and an East Germany? 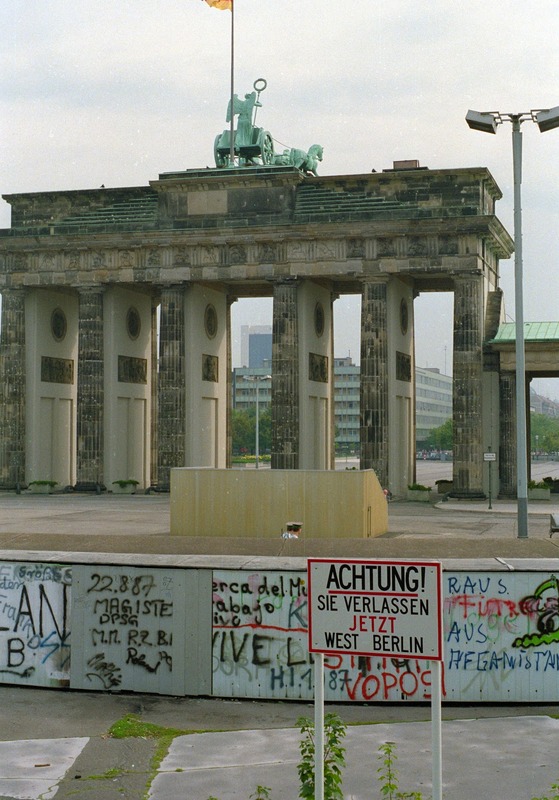 I only visited East Germany once, in 1987, just two years before the wall came down. 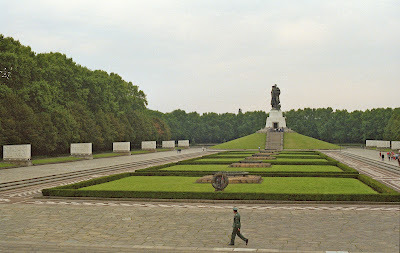 East Berlin was an eerie place, crawling with Stasi as you can sort of see in the two photos below. I remember watching the news on November 9, 1989, in disbelief that the wall was just simply coming down, from one day to the next. It represented such evil and death and was finally being peacefully dismantled. 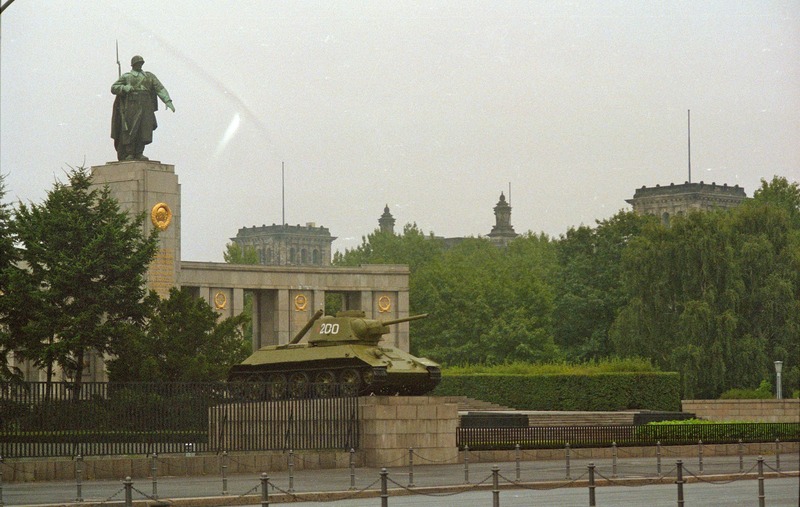 Democratic elections paved the way for unity and the "Treaty of Unification" was signed by East and West Germany in 1990. 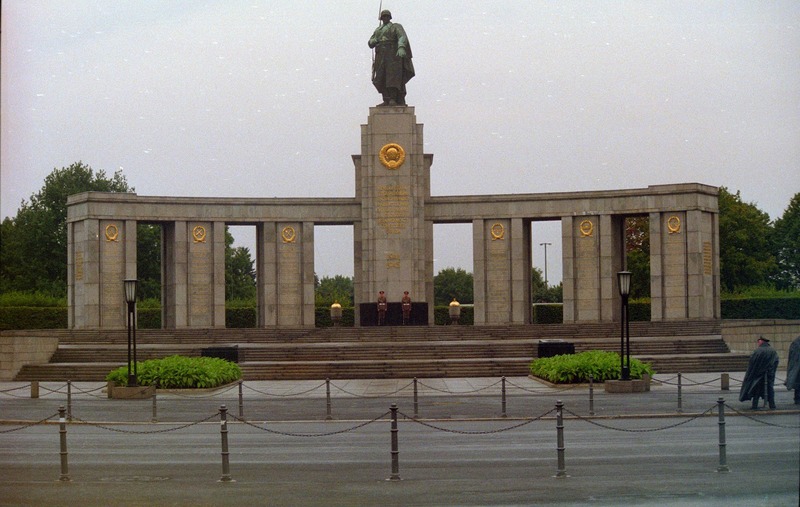 Finally, Germany's unification became official on October 3, 1990. 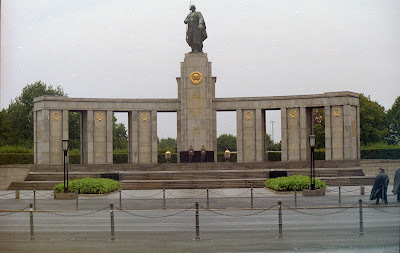 The Brandenburg Gate in 1987. Germans have today off work and there are public celebrations with political speeches, concerts, festivals, and fireworks. One of the magnificence places in Germany. Thanks for the information. I remember this day so clearly. Clearly, I'm old. Happy Unity Day, Germany.